Mayme Kirby Dickinson was born Mary Estelle Kirby in Adams Township in 1880, the granddaughter of early settler, William Kirby. She attended North Adams schools and at the age of 30 she graduated from the Leland Powers Dramatic School in Boston, Massachusetts. Mae Kirby (her stage name) traveled the U.S. for 25 years, acting with such stars as Charles Laughton and Orson Welles. Mae also opened a local acting studio, reportedly with Hillsdale native Jason Robards (Sr.) as a pupil. When her husband, Daniel Dickinson, was killed on Jonesville Road in 1937 Mae gave up acting, spending the rest of her years working with the Red Cross Gray Ladies and with gardening. She is buried in the Kirby Cemetery in Adams Township. Jason Robards, Sr., known as "Jay," grew up on a farm outside Hillsdale and attended Hillsdale Schools. After the sudden death of his older brother, Frank, Jr., at age 22, home life was never the same. His parents left their beautiful home, his mother moving to Broad Street and his father into the Smith Hotel. His sister, Rolla Robards Prideau, moved to New York City, leaving her husband behind. Jason moved to Hollywood and became a star. The 1904 Hillsdale High School Senio Play was directed by Emma Lyon and staged at the Underwood Opera House on Howell Street. The 1951 Hillsdale College yearbook reported a new fraternity on campus named Kappa Sigma Kappa. In order to lure others to their chapter home on Hillsdale Street (later replaced by the Koon Residence Hall) and to save money on theatre tickets, they purchased a "new device" known as a television. They encouraged anyone on campus to stop by and tai a look. One of the more notable members of the "well-rounded social fraternity" was the late Jackson "Jackie" Vaughn, who went on to become President Pro-Tem of the Michigan State Senate. The frontier band included mart foster, leader, charley swift on bass drum, merl fowler on snare drum, durell fowler on alto horn and charley flower on cornet. 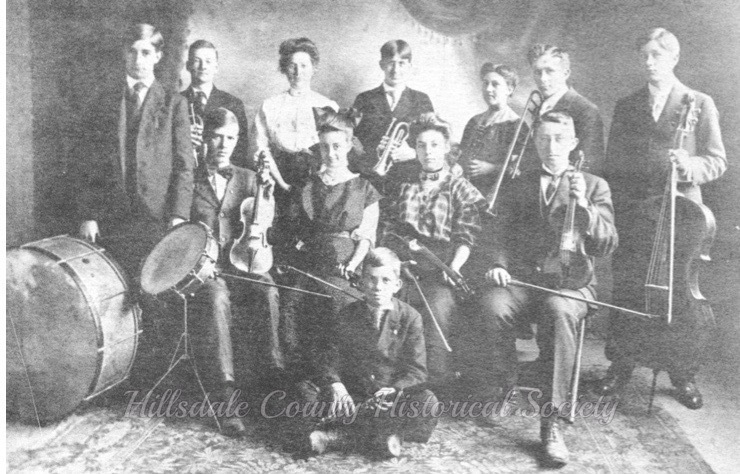 the jonesville high achool orchestra of 1907-08 included Chauncey Burnett, dewitt dudley, clarence sanger, nina langdon, harold lefevre, albert lefevre, richard varnum, alice kirby, margery godfrey, hay deal and sterling withington. 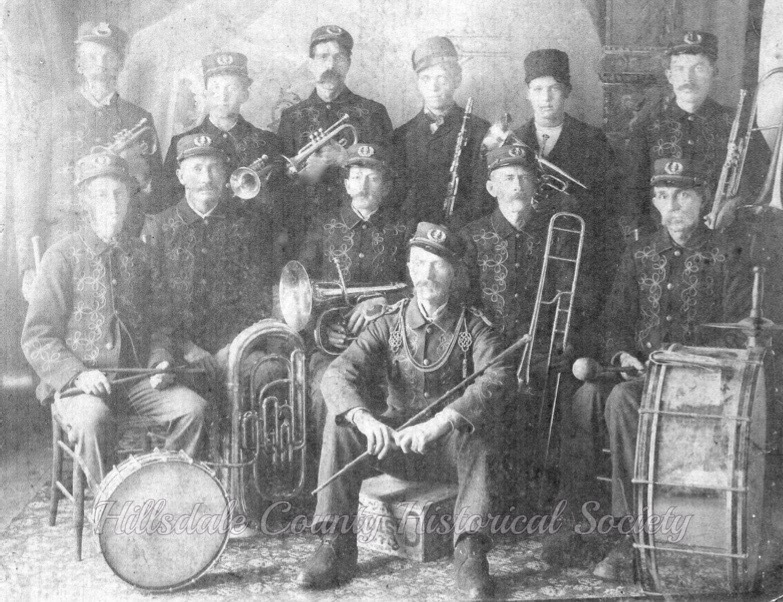 the hillsdale city band, for over 20 years directed by william lint, was an outgrowth of the alamo Engine company band. They played every week during the summer months from a bandstand in the court house square.